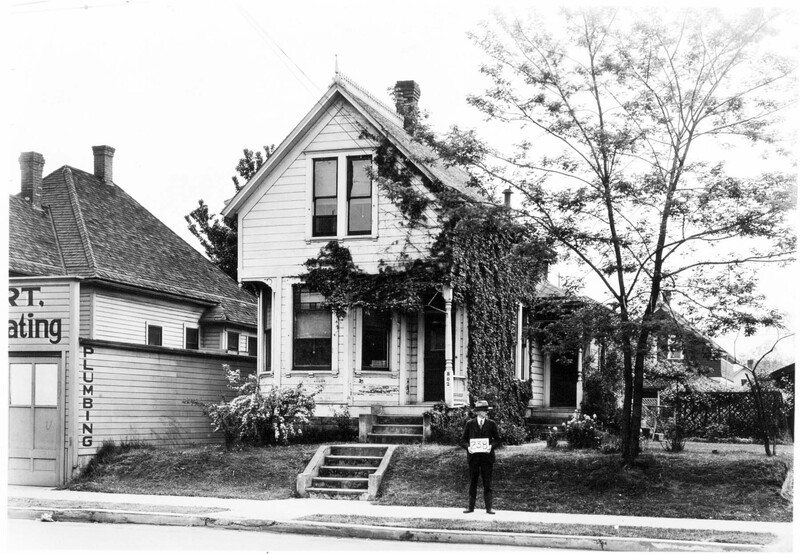 Dr. Dearborn’s (see yesterday’s post) neighbor to the immediate north was this home at 802 Union Avenue, by the pre-renumbering system. 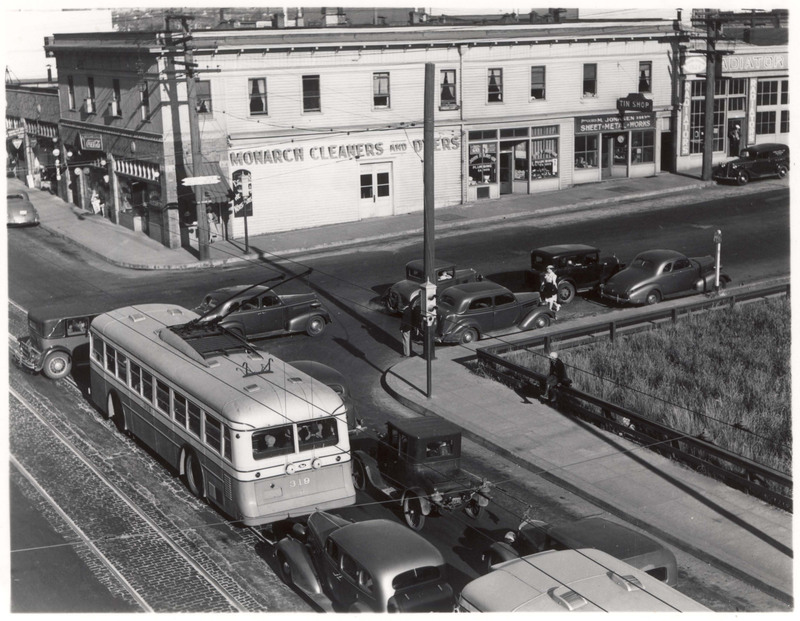 It did not fare as well as the sanitarium and the site is now a parking lot. 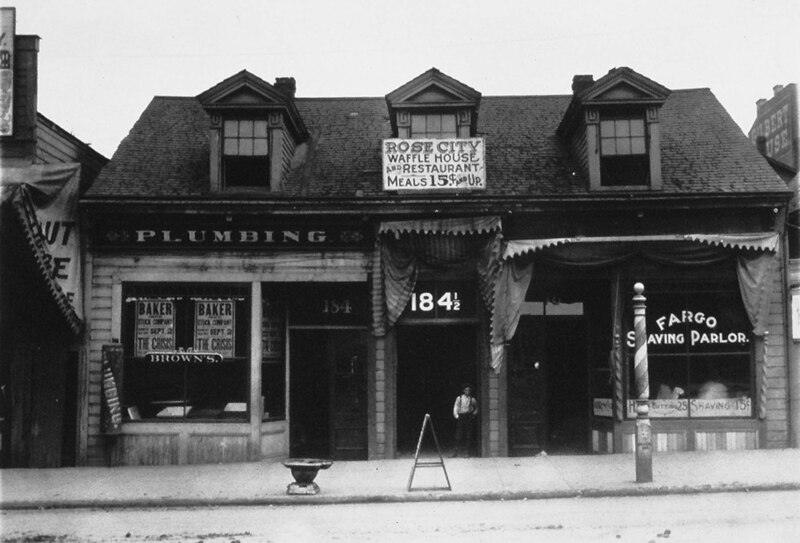 Portland loved waffles over a century ago as this early turn-of-the-century photo indicates. 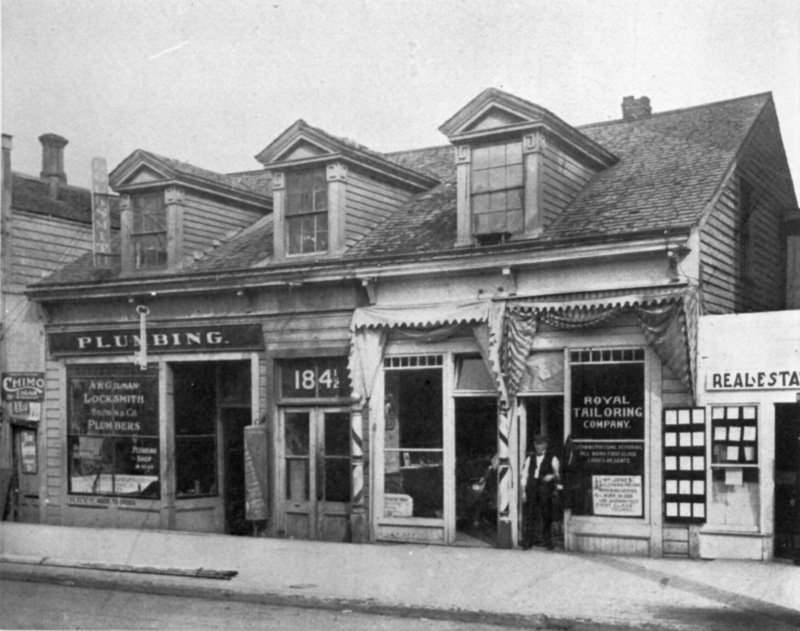 This building was originally the “Old Crosby House,” built in 1848 or 1849, the first frame residence in Portland. 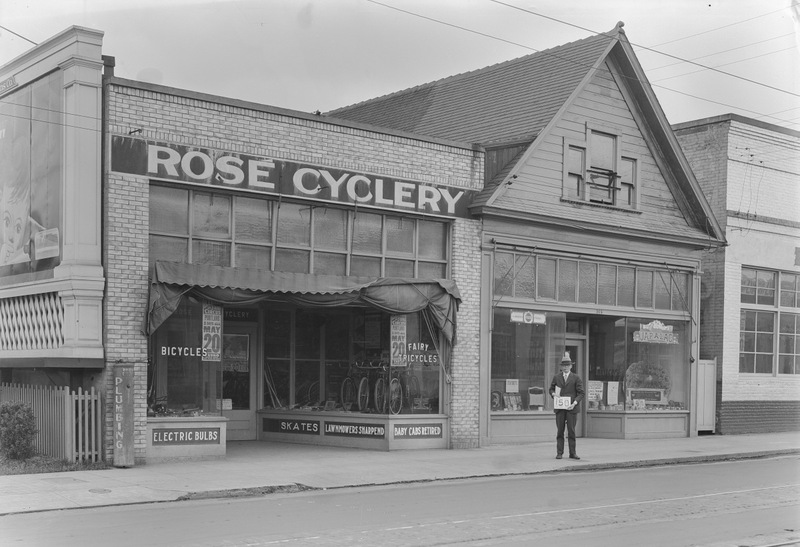 It was located on the east side of SW 4th Avenue between Yamhill and Taylor. 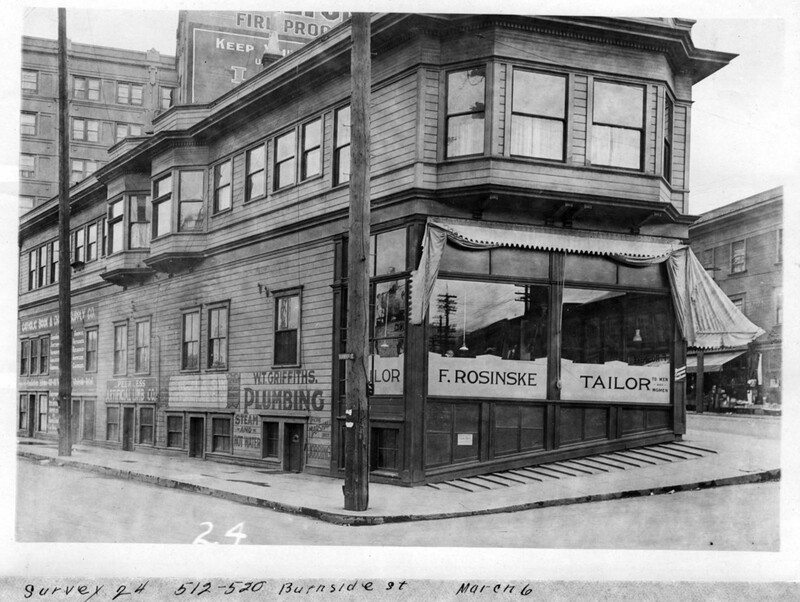 The backsides of these shops faced West Burnside while the fronts opened onto SW Washington Street (on our right) in this 1917 photo. The view is southeast at Burnside and 15th and the 1911 Carlton Hotel looms in the background. You’d be looking down onto I-405 freeway today. We have seen this intersection before, in a previous Mystery Location post. This view looks east on Hawthorne Blvd. to the upper left, and Union Avenue angles off to the right. There’s lots of great detail in this photo; the gentleman on the fence looks to have his lunch pail, and the man in the doorway of the radiator shop maybe just stepped out for a smoke. Traffic and pedestrians make for a lively scene.